New Jersey interior design and renovation experts. 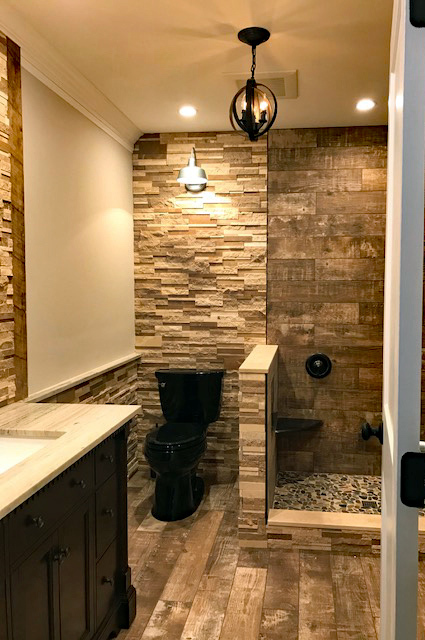 Bathroom renovation, kitchen renovation, basement renovation, new additions, home gyms, home theaters, shiplap, distressed wood, rustic elements, hammered copper, stacked stone, ceramic tile, energy efficient appliances, pendant lighting, birdcage lighting, wrought iron, granite countertops, herringbone tile, waterfall shower, and more! Call 856-218-8911 for your in-person estimate. Did you know The Burpee Group also specializes in major and minor interior renovations? That’s right — we are your premier New Jersey home renovation experts. While our reputation for exterior custom construction and gunite pools can’t be ignored, it should add an element of trust to making The Burpee Group your one-stop home renovation source. We’ll bring your vision to life! We build additions, renovate kitchens, bathrooms, basements, and more! We’ll combine your unique style with the finest premium materials to give you the interior home design you’ve always dreamed of. Call for your estimate today! Don't let another day go by without your home reflecting your style. Call The Burpee Group! Whether your bathroom is stuck in the 70s, your kitchen lacks function, or your basement is wasted space, The Burpee Group can redefine any living space. With our knowledge of industry trends and best practices, we’ll put our 30 years of diverse experience to work for you. We specialize in woodwork, fixtures, metal and wrought iron, natural stone, shiplap, ceramic tile, natural materials, and more. From clean lines to complex spaces, energy efficient appliances to multi-room projects, no interior redesign is too big for The Burpee Group. From concept to completion, let us be your partner for barn doors, home gyms, herringbone tile, hammered copper, stacked stone, pendant lights, and more. We’ll create that rustic vibe or that modern aesthetic you’re looking for.